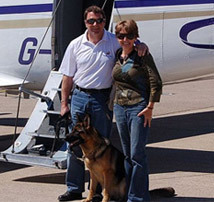 A1K9 founders Charles Wall and Gaynor Probert are among the most experienced personal protection dog trainers in the world and still head up the training team at A1K9 to this day. The Founders of A1K9 Are Among The Most Experienced Personal Protection Dog Trainers in The World, a Vocation That Has Been a Passion of Ours For Almost 30 Years. With more than 50 years' experience between us, we pioneered many of the techniques now used in this industry and remain at the cutting edge of its development while passing on our hard-earned knowledge and expertise to our staff. 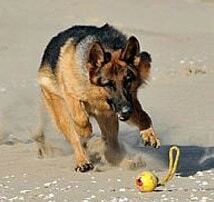 In fact, the combined team boasts over 100 years' experience in dog training. Charles takes ultimate responsibility for the training programme at A1K9 and sets the highest possible standards in the development of both dogs and staff. Charles and Gaynor are both members of the British Institute of Professional Dog Trainers. In addition Charles is an assessor for the National Training Inspectorate for Professional Dog Users and Gaynor is a qualified canine behaviourist (member of the Canine and Feline Behaviour Association) and was voted behaviourist of the year in 2014. Each team member at A1K9 is put through a structured and rigorous training regime to ensure they master the process of training and conditioning the protection dogs that we supply. Under the careful guidance of the company's two master trainers - Charles and Gaynor - each member of staff is developed to achieve the high standards that have put the business on the map globally. The result of A1K9's commitment to staff development and the intensive training and conditioning programmes developed by this experienced team is simple: A1K9 consistently produces what could be regarded as the best trained and most reliable personal and family protection dogs in the world, whilst also helping many individuals to get the best out of their pet canine companions.